Socialist Solidarity - Occupy Canada! Starting October 15, thousands of Canadians have come out to support hundreds of campers in cities across the country to witness against a politics of greed amidst recession and pools of misery like the Attawapiskat reserve on James Bay. Occupy protesters also modeled how our society could be - with daily mass assemblies and a non-judgmental supportive approach to the impoverished who flocked to the refuge of Occupy camps. The actions of a few have sparked a mass debate about inequality in our society such that a recent Ipsos poll revealed that only health care was of more concern. So what are the facts about inequality and privilege in Canada? While the Occupy movement has resonated most strongly in the United States with its savage neglect of working people when afflicted with job loss or poor health, Occupy Canada has drawn attention to an increasingly unequal social order here. In December 2011, the International Monetary Fund (IMF) released a report on economic inequality among the 34 developed nations of the Organization for Economic Cooperation and Development (OECD) called Divided We Stand. Canadian figures show a growing polarization between rich and poor since the 1995 Paul Martin Liberal federal cuts to national social programs and tax cuts for the wealthy. In the early 1990s the income gap in Canada between the top 10% and the bottom 10% was 8 to 1. It is now 10 to 1. The richest 1% took 8.1% of income in 1980 and now take 13.3%. The truly rich, the 0.1% of income earners, doubled their income from 2% to 5.3%. Wealth figures show even greater inequality than income figures. A Progressive Economics Forum study in 2005 shows 8.2% of families control 46.5% of all wealth in Canada, while the top 20% controls 69% of all wealth. IMF economists identify two factors in this growing income and wealth polarization process: changes in the labour market and the changing role of government in the tax-benefit system. Among wage workers there is a growing polarization between high and low wage jobs, as more and more jobs become part-time and temporary – and can be paid for at lower rates with few, if any, benefits. Another sign of people being driven out of high wage work is the increase in self-employment where the average income is 25% less than what can be earned in the average waged job. The other factor is public policy: changes to public benefits and tax cuts for the wealthy. For example, the number of employment insurance contributors who can actually collect has fallen by half, from 83% of EI payers in the 1980s to 40% today. The Canada Pension Plan is also being changed to penalize retirees before 65 and offer incentives if one works to 69. And what will happen to federal transfers for public health care in 2014? What is especially pronounced are tax cuts. The marginal federal tax rate on the wealthy has fallen from 43% to 29%. Provincial tax rates have also fallen. In British Columbia, after 10 years of Liberal tax cutting, the wealthy have benefited by keeping an additional $9000 in income per year, while workers have got $1200, and the poor, $200. With fewer benefits and a low tax strategy, governments have lessened the impact of public redistribution measures from 70% to 40% to offset market inequality tendencies. The result of this employer’s offensive, in driving down waged labour and weakening public capital, is to foster a more unstable economy that punishes the weak with a lower standard of living and poorer life outcomes. Public health studies from Montreal and Vancouver in the last decade now show that the wealthy live 10 years longer than the poor. Therefore, despite talk of an oil boom recovery, economic indicators show a difficult situation for the majority who are at the receiving end of an increase in inequality. Canada’s unemployment rate of 7.3% is still above pre-recession figures when unemployment fell to 5.7%. The majority of the population who live in Ontario and Quebec are facing a further hollowing out of the urban manufacturing economy. Purchasing power is also declining. Rising commodity prices, but weak labour markets, is creating a situation where this year’s inflation rate of 3% is outstripping wage gains of just 1.1%. Nor are long term patterns encouraging. Between 1945 and 1976 real income more than doubled. But between 1976 and 2009, real income for new labour market entrants rose only 5%, and this was with a doubling of family income earners as a majority of married women joined the work force. In British Columbia, with the country’s highest housing prices, purchasing power has actually fallen 6%. So, while resource rich provinces like Alberta and Saskatchewan are booming, and older family wealth has risen substantially (with a 76% increase in the value of homes since 1976), working families under 40, young job seekers, and the poor are facing an unprecedented squeeze. These generational, income, and regional pressures are more than the product of the recession of 2008. They are, in fact, expressions of larger forces and structures: growing global instability and the organization of production by social classes. We are the 99% or the 80%? 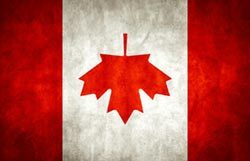 Canada is no different from any other advanced capitalist nation in that income and wealth are concentrated in the hands of a tiny minority – who dictate the life chances of the vast majority by deploying resources for profit first. As Henry Veltmeyer describes in his book Canadian Class Structure, the 17 million Canadians in the work force are organized into three broad social classes: the bourgeoisie who control the means of production, about 2.5%, the petit bourgeois or middle class who labour independently with some means of production, some 18.5%, and the working class, some 80% of the work force, who work for wages and exercise no significant control over their work. Canada’s ruling class in fact could be numbered as less than 1000 families. As William Carroll has documented in Corporate Power and Canadian Capital, this tiny ruling group has built a network of control through financial holding companies and the recruitment of a talented lieutenant bourgeoisie from university business, engineering and law faculties, to rule Canadian investment decisions on St. James Street in Montreal, Howe Street in Vancouver, Calgary’s Olympic Plaza, and, especially, Bay Street in Toronto. And this economic power has been promoted and protected by two employer political parties, the Conservatives and the Liberals. Politically resisting the rule of the 1% would be very simple if our society was polarized between the 1% and the 99%. But our society is not polarized this way. In fact there is a substantial layer of middle class employers or agents of capital whose interests lie in this extreme inequality. While many members of the old middle classes, farmers, fishermen, and small business people have been proletarianized, that is, driven into dependent wage labour, some have survived to become larger capitalists. More importantly, a new layer of white collar, fee paid or salaried, managers, professionals, and technicians have emerged to administer big business on behalf of the 1%. So the class struggle to redistribute income and wealth to the majority is not just about the 99% versus the 1%. It is about the majority challenging the 1% and weakening, winning, or neutralizing this intermediate layer. The class struggle has a third, even more decisive element, building working class organization and consciousness. It is no mystery as to why trade unions like the Autoworkers put resources into the Occupy camps (food, kitchens, generators, port-a-potties) and provided legal services. Building a public moment that questions why a minority controls the means of life is a powerful aid to awakening wage workers as to why we need trade unions and labour politics. The Occupy Canada movement in the form of camp outs is finished for the moment. But the Occupy message is alive. By directly witnessing against the rule of the 1%, Occupiers managed to spark a mass debate about the nature of our society. In directly witnessing, they also tried to model an alternative future. Socialists may not agree that community happenings are the way of the future, but we do agree on the principle of direct democracy. Many have claimed the movement has been unfocused and naïve. Many have become concerned as the camps attracted the hard social reality we live in with drug addiction, homelessness and mental illness – which city governments, left and right, used as an excuse to close the camps in the name of a public safety they refuse to exercise when these problems are experienced by individuals.